This is a Conn large bore cornet in silver plate. 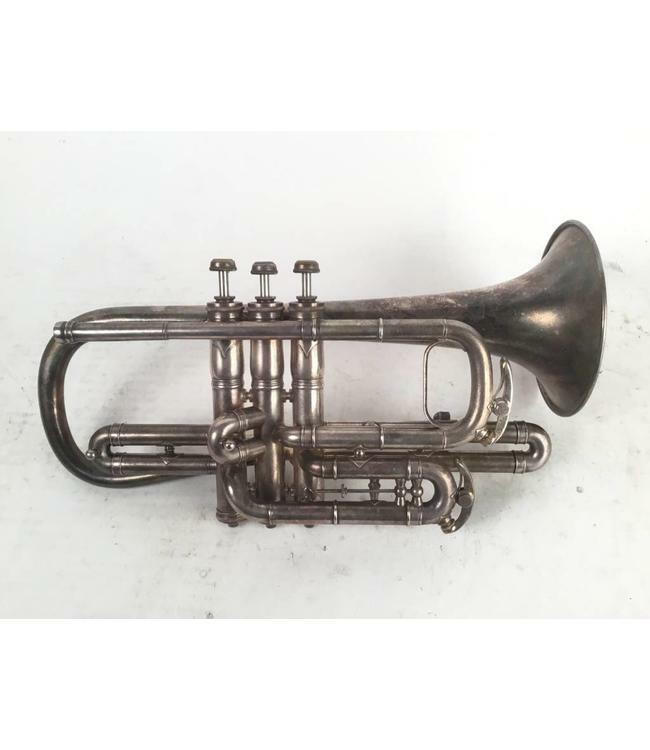 High/low pitch, Bb/A, made circa 1904. With Case.